This website is about travel by road in Labrador (Canada). 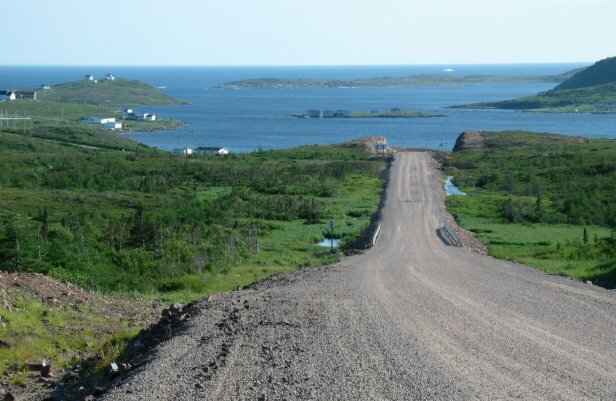 Labrador is a remote region of northeastern Canada, and the Trans-Labrador Highway is the primary road. ANNOUNCEMENT: The last section of the Trans-Labrador Highway, from Goose Bay to Cartwright, is now OPEN! According to a short article in the April 2010 issue of Canadian Geographic magazine, this highway is now OPEN. This completes the entire Trans-Labrador Highway from Labrador City all the way to Blanc Sablon (technically in Quebec). Therefore you can now do a circle tour from Baie Comeau (Quebec), north to Labrador City, east across to Goose Bay, down to Blanc Sablon via Cartwright, take the ferry across the Strait of Belle Isle to Newfoundland, drive south down the west coast of Newfoundland to Port aux Basques, from where you can take the ferry across to Nova Scotia. To read about my trips to Labrador, with numerous photographs, see the Travelogues section.